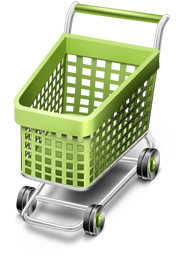 Bespoke ecommerce platforms and web shops are somewhat of a speciality for us here at Web Seller Pro. We can offer a range of features, building from past experiences and looking forward to the latest technique and technology, to bring you sophisticated fully operational online shops or ecommerce administration facilities that are essential when attempting to minimise the running costs associated with maintaining an online presence. We hand code bespoke functionality from scratch or use off the shelf solutions where necessary like the highly regarded Magento and WooCommerce for Wordpress platforms to ensure that the project stays within your budget, is delivered in a timely manner and is fit for purpose. All of our ecommerce websites can be seemlessly integrated with the payment gateway of your choice and we have previously worked to provided solutions that include facilities from WorldPay, SagePay, PayPal and more. We would be delighted to discuss the different options available to you and recommend the best software solution for your current and future business needs.